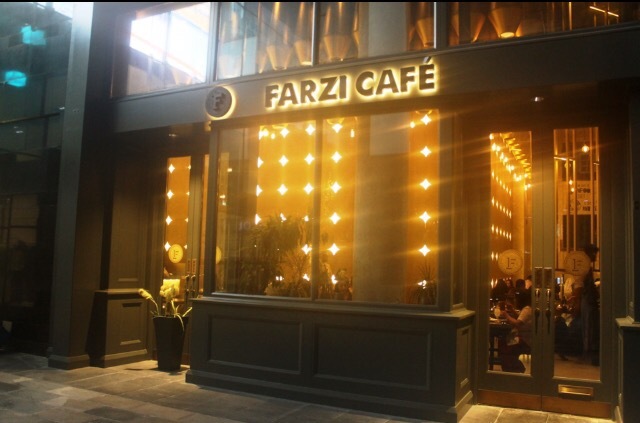 Ever since the recent opening of Farzi Café Dubai in City Walk 2, Dubai, I have heard plenty of good things about it and was very much excited to check it out. 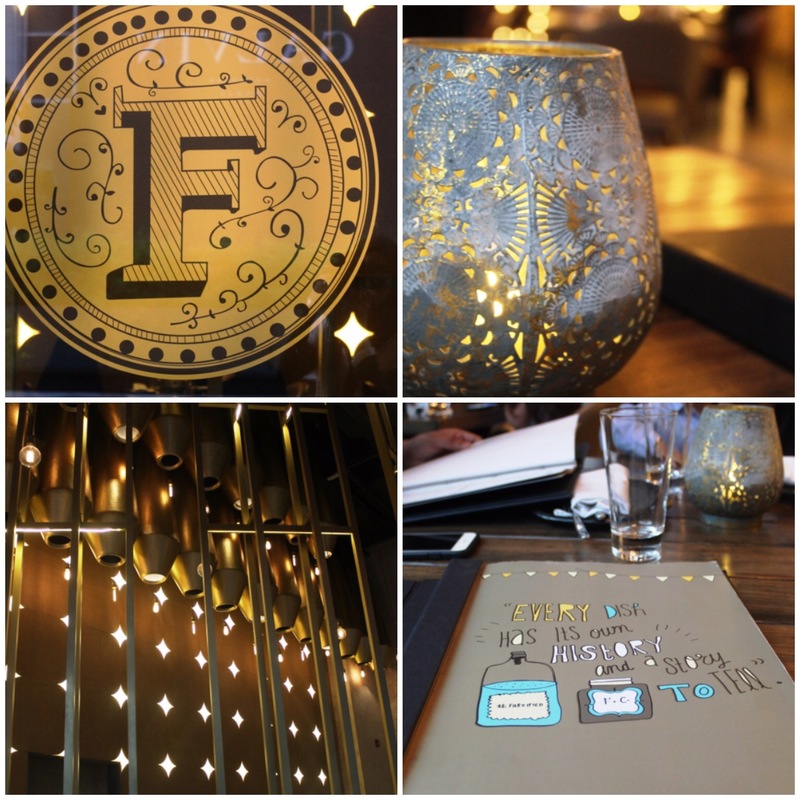 The day finally came last Wednesday, when my husband, Baby Z and I headed down to Farzi Café to taste what they had on offer, and boy was it worth the wait. The restaurant itself is stunning with it’s high ceilings and rustic interior, decked out with gold edged floor tiling, wooden tables and plenty of quirky quotes as part of their decor. The leather chairs are very comfortable and the lighting is fabulous, reminding me of Broadway signs! Next came the Palete Cleanser, supposed to be taken as a shot (all in one go), and which were reasonably sized balls of Yoghurt with Blue Berry Compote, again bursting in your mouth as your teeth pierced into it. However, Baby Z had more fun playing with the smoke rising from the serving plate, as he attempted many time to blow it away. It was not only entertaining for him, but also for us too! We were ready for the starters, and swiftly three works of Art were brought to our table. It almost felt criminal to ruin the presentation, and I couldn’t take my eyes off the polished marble stone that two of the starters were served on. 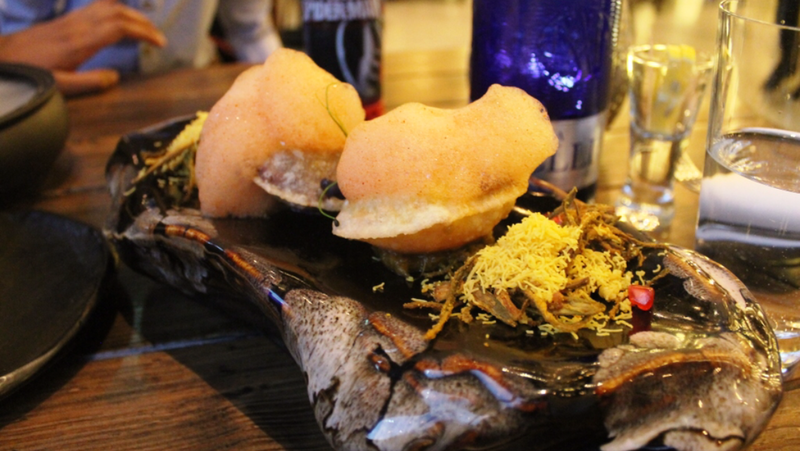 The first was the Raj Kachori, Crisp Okra Salad & Chutney Foam, full of crunch and I loved the hints of Tamarind sauce as I devoured the Kachori, whilst Baby Z was hooked to the crisp Okra. 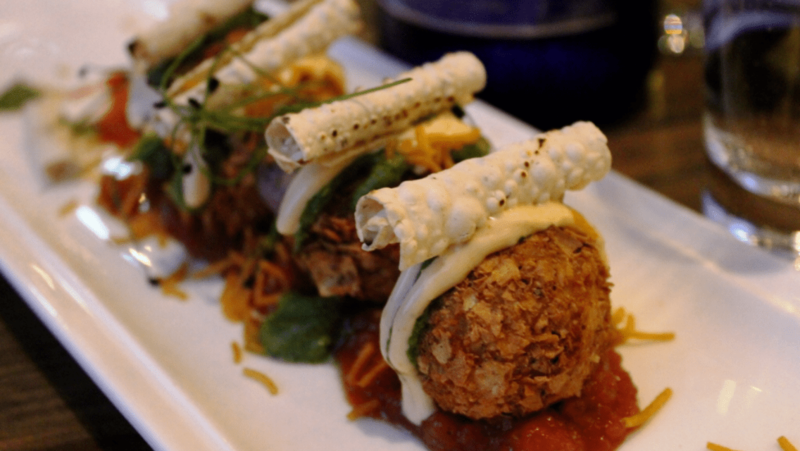 The second was by far mine and Mr Z’s favourite dish of the night – Dal Chawal Aranchini, which are lentil risotto balls with pickled mayo and poppadum rolls on top. It was our favourite, not only because it was so finger licking good, it was the concept of taking the most basic of dishes that we eat on a weekly basis, Dal Chawal, and turning it into a bite sized masterpiece. The third was the Braised Caramel Prawns with Coriander Tom Yum, and yummy it sure was. The sauce was thick, creamy and incredibly filling. Again, the foam was so creative and Baby Z loved looking at the dishes more than actually eating them! After a five minute breather, two of the best selling Mains were brought to our table, in no less panache than the starters. 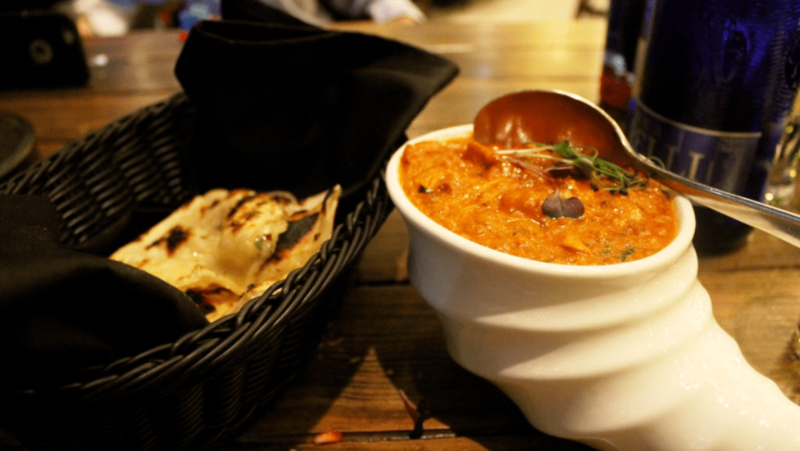 The first was the all time favourite Chicken Tikka Masala with Cornish Cruncher Naan, and was easily the most tender and delicious Chicken Tikka I have tasted in a long long time. Mr Z went as far as to say that he felt like he was back in India, eating this Chicken Tikka, and that’s possibly the biggest compliment he can give for an Indian dish! The naan was buttery and soft, just as it should be, but of course the best part was the way the Chicken Tikka was served in a shell bowl, and brought to us in a Bright Red London Telephone Booth to symbolise the origins of the dish. The second main dish was the Shawarma Biryani that includes a leg of lamb cooked for 8 hours and a side of Kachumbaar Labneh. Though Mr Z enjoyed this very much, it was a little too spicy for my liking, although the lamb was very tender and the over all presentation was exquisite. 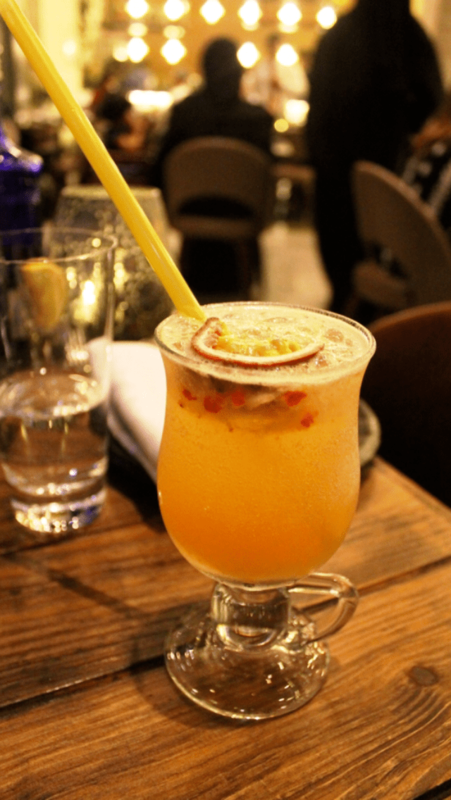 These mains were accompanied by another sweet Mocktail made of Peaches and Passion Fruit, and complimented the dishes very well. To end the night on a sweet note, two desserts were brought to our table, one after the other. 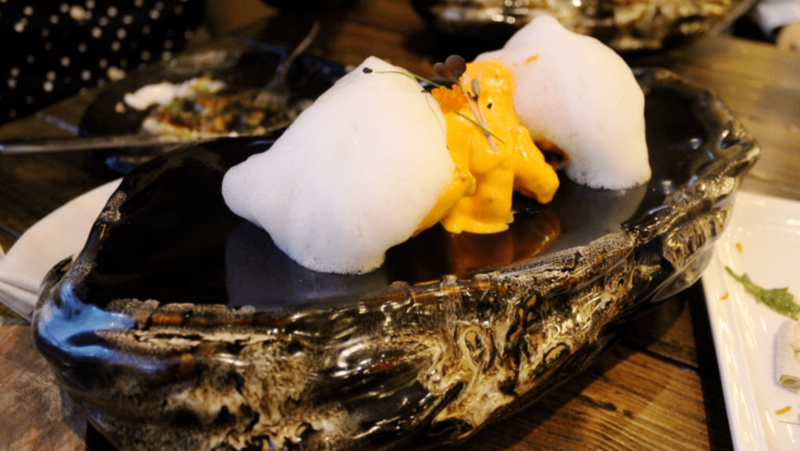 First up was the Rasmalai Tres Leche (Three layers), with Carrot Cream and an intricate Rose Petal Net. Now we all know of my sweet tooth, and that I have tasted plenty of Ras Malai’s till now, but this is the first time I had it with Carrot Cream, or Gajar ka Halwa as it is more commonly known in India, and the combination is beautiful! Dipping each spoon in the milk syrup, infused with pistachios and other nuts, is extremely satisfying, though the Ras Malai was incredibly moist to begin with. 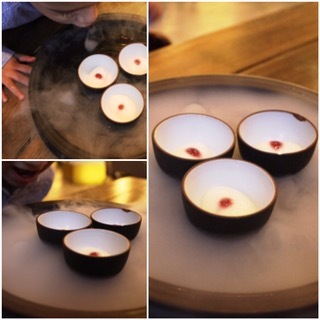 The last dish of the night had to be a show stopper of course – Risotto Phirni Oxide. How incredible does that sound? I assure you, it was more incredible to watch being made right in front of us, and the picture above of the Phirni does no justice to the experience of watching it being made and digging into it ourselves. 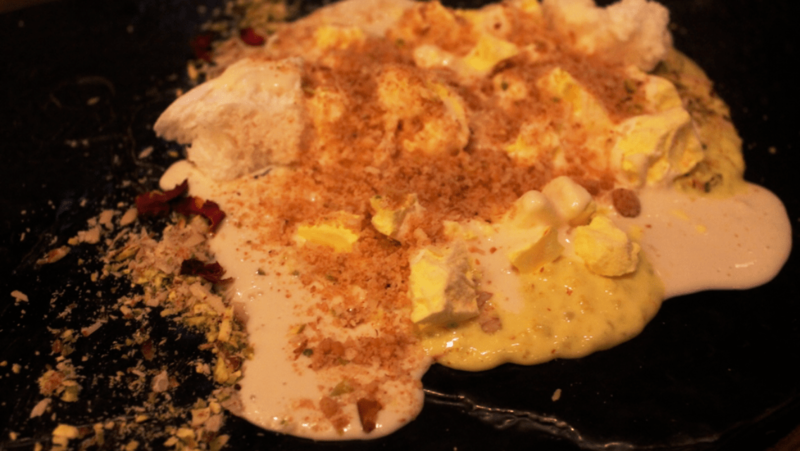 (Have a look at the video at the end of this post to see how the Deconstructed Phirni was put together in front of us, using plenty of Liquid Nitrogen, and spoon smashing.) The mixture of textures and temperatures was quite incredible to behold, and made for the perfect sweet end to our dinner. 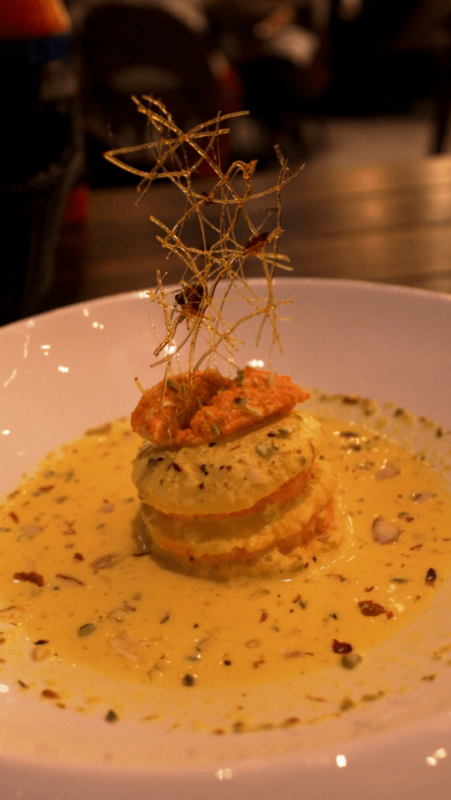 Over all, our time at Farzi Cafe did not just consist of dinner, but was in fact an incredible gastronomic experience, taking the most humble of Indian dishes and turning them into a master piece, with a hint of magic. The customer service was also just as commendable, though I was pleasantly surprised to see how busy the cafe was even on a week day. I can only imagine they get even busier on weekends and customer service may not always be as quick when there are much larger groups of people to serve. Having said that, the staff were very helpful and very friendly towards Baby Z too, which is always nice to see. 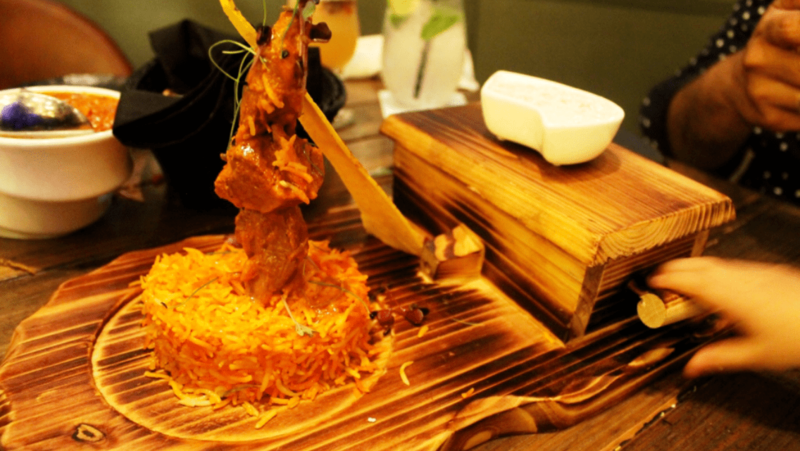 The prices for all the dishes vary greatly, ranging from AED 20 to as high as AED 87, but the majority of the dishes fall under the AED 30-40 Bracket, which is very reasonable and worth every fil, in my opinion. The portions are also quite filling, especially if you are having side dishes and drinks with your meal. 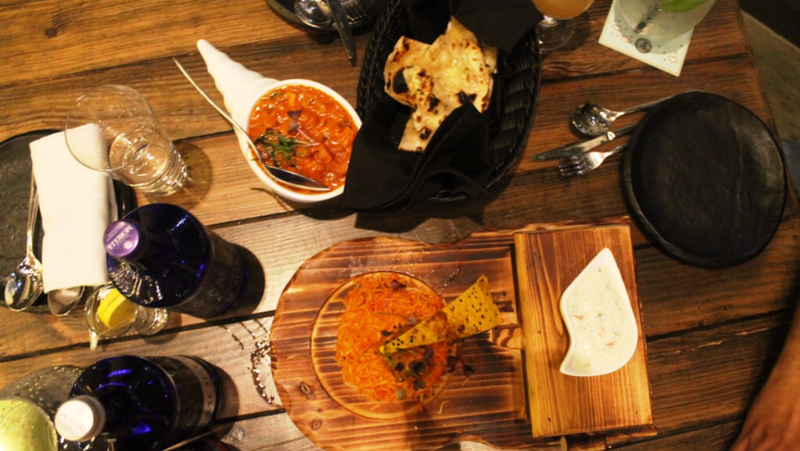 I would definitely recommend Farzi Cafe to anyone looking for a unique take on Indian cuisine, and wants to be positively surprised by what the waiter brings to them. 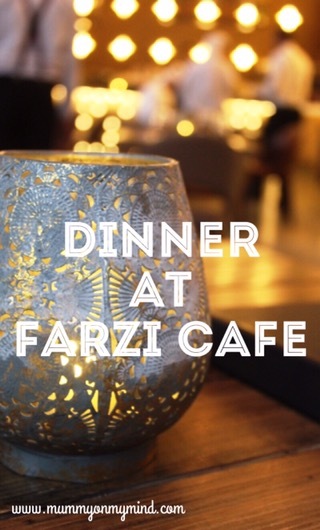 If you are looking to experience your own magical dining experience at Farzi Cafe, make your booking now and check out what more they have to offer through their Facebook, Instagram and Twitter. 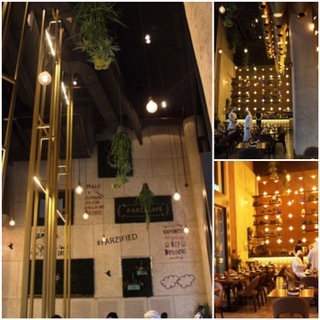 Note: I was invited to review the Menu at Farzi Café Dubai, however all views and opinions expressed above are honest and solely my own. I have heard so much about this place, and everything about it looks fantastic! The presentation really is as good as the taste here! Such a great dining experience! everything looks so unique and enticing! will definitely be going there soon! Please do, I was so amazed! !